Not sure what to make for Thanksgiving? Or what wine to pair with it? Maybe you just love turkey dinners with all the trimmings. Or a great night out with friends. Maybe you are ready for a fun night out finally after all the Election Day angst. We are pretty confident this dinner will get your vote based on our polling of past attendees and wine club members. 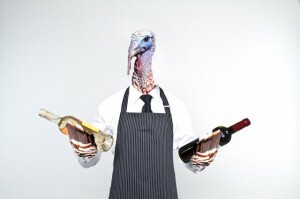 Then join us Thursday November 10 at 7PM for the Corkside Wine Club Pre-Thanksgiving Thanksgiving Dinner! As always, the event is at the historic Orange Lawn Tennis Club in South Orange, NJ. Corkside is the collaboration between Krug Catering at Orange Lawn and Hank Zona of The Grapes Unwrapped, bringing you excellent wine buying opportunities and food and wine events that you aren’t going to find anywhere else. Things get started at 7PM with a reception featuring some great passed hors d’oeuvres and seasonal sparkling wine cocktails before a three course Thanksgiving style turkey dinner paired with the six wines Hank has selected this season as choices that will only enhance your Thanksgiving meal (even if your team loses that day). Not only will all wines tasted be available to order for your own holiday but all the food items will be available on a special catering menu. $39 per person plus tax and tip for all that. RSVPs are essential for this dinner. Email your reservation request to corkside@krugcatering.com with your contact information. We look forward to seeing you for Pre-Thanksgiving dinner! Need more info? email us (corkside@krugcatering.com) or call Hank at 917-414-8957. And if you aren’t sure if you’ll like what’s being served, check out the menu below.